Don't Panic. Press the Panic Button. 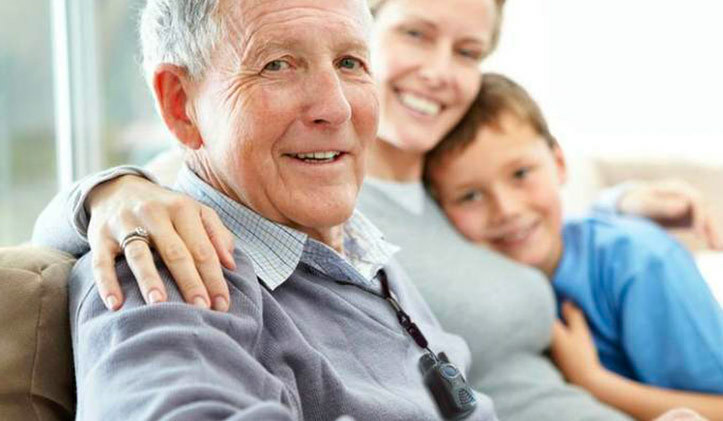 If your elderly loved one falls, they need help fast. With medical alert monitoring, our medical alert devices (pendants and bracelets) dispatch emergency help with the press of a button. Our professionals will install the right equipment that allow us to monitor your home for any signals sent out by our panic pendants. 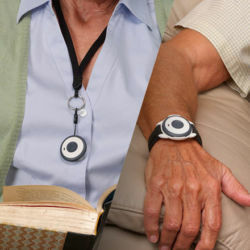 If your elderly loved one falls, they just need to press the button on their panic device. A live trained professional will speak to you or your loved one over a two-way speaker to learn the nature of the emergency and then dispatch help. The panic device can also be programmed to immediately dispatch the police or fire department. 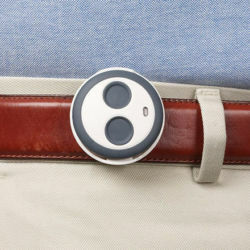 Compact and water-resistant, the panic device can be worn as a wristband, belt or keychain—so it's always within reach. When the pendant is pressed, a medical professional will speak to your loved one over this speaker to learn the nature of the problem.